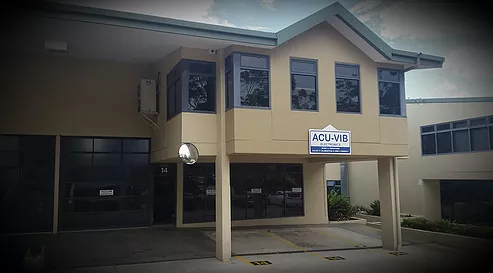 Acu-Vib Electronics is an Australian company. We specialize in the Sales, Calibrations, Hire & Repairs of high quality electronic test equipment for use in the fields of Acoustics & Vibrations, Occupational Health & Safety, Environmental, Research and Development, just to name a few areas. Visit our Noise & Sound Products Rangepage or our Vibration Analysis and CMS – Condition Monitoring Systems Products Range page for a complete list of equipment that we supply and handle. Please contact us for any equipment not yet listed on our website. SVANTEK are a Polish based company established in 1990. They design and manufacture professional instruments for sound and vibration measurement analysis, complying with Australian NATA conformance certification. Svantek instruments are well known around the globe for their accuracy and reliability. But it is continuous usage of the latest technological achievements that makes them leading innovative sound & vibration manufacturer. Latest products from Svantek such as SV 104 noise dosimeter or SV 106 8-channel vibration meter changed the sound & vibration market forever, bringing completely new quality in the pocket size instruments. Acu-Vib Electronics offers a broad range of repair services. Many of the companies laboratory staff and technicians were trained in calibration, research & development or other highly specialized fields. At ACU-VIB we have an extensive range of quality brand test instruments and equipment for hire. Rental times range from one – three day and weekley. For a broucher of the instruments available for rent and prices, please don’t hesitate to contact us by following the tab, or giving us a call!